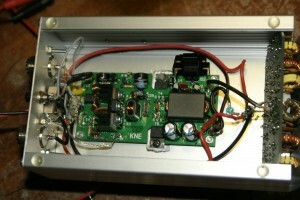 In the internet I find a interesting linear KIT what brings out 50 Watts with only 5mW input! So I build everything in a good case with good RG-174 cables and the I adjust it inside the case. The linear have IRF510 as finals, but it works up to 10m ! 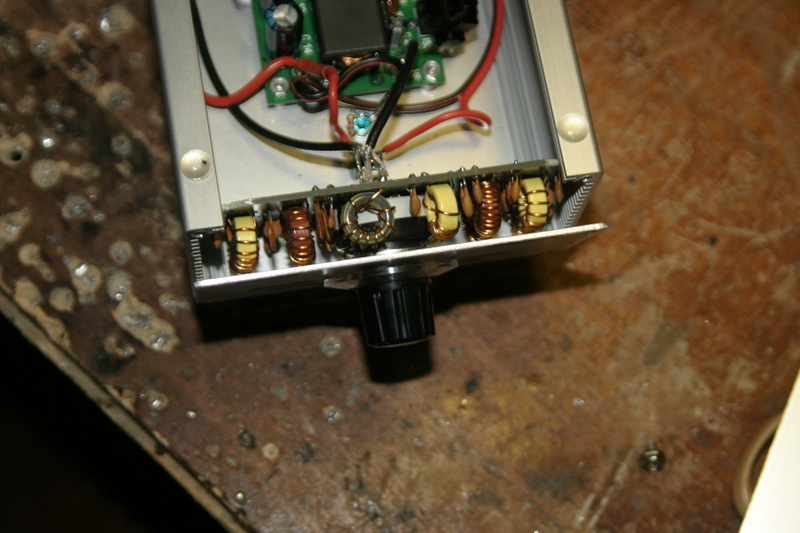 I remove the first driver, because I like to input 100-200mW. 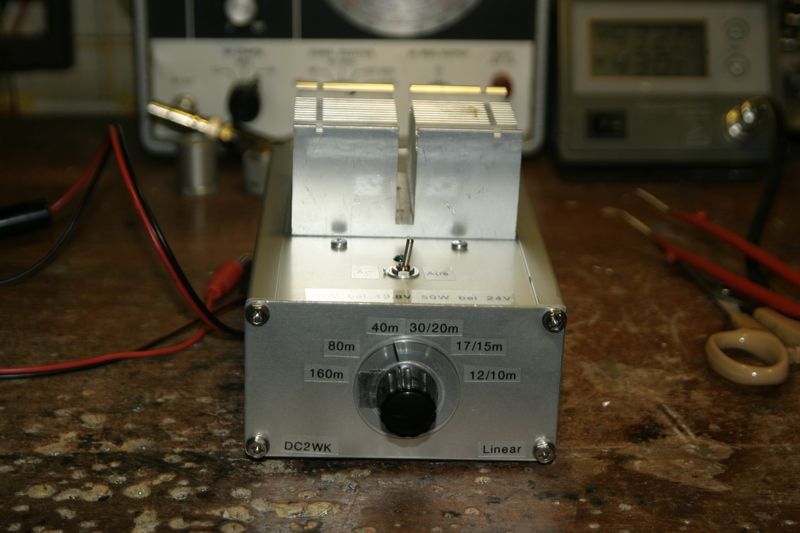 The Linear brings by my with 24V the 50 Watts with the 100mW input. 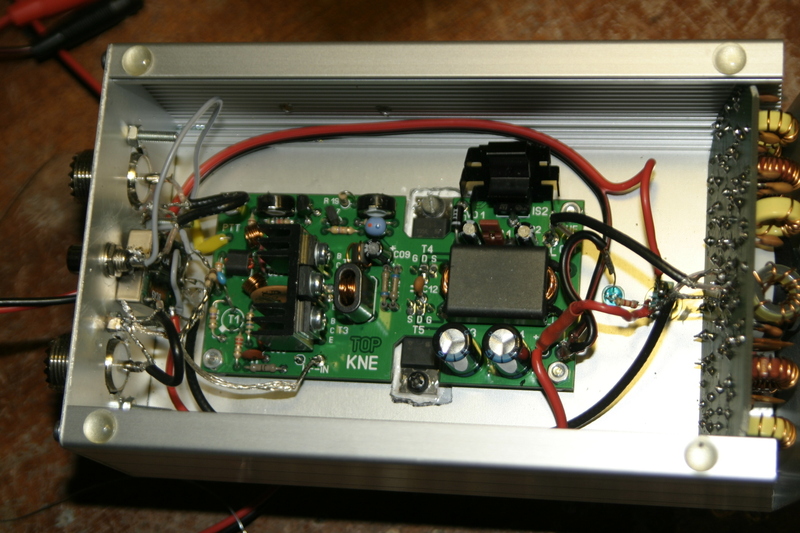 With the 12V the half. The sine looks great on the oscilloscope. In the moment I use it with the Redifon GR-345. I can use it with the Lima too. The Lima linear I gave to a friend. He use it with a FT-817. Great performance for that money. The linear is the FET-PA50 and the band filter is the TP-50.